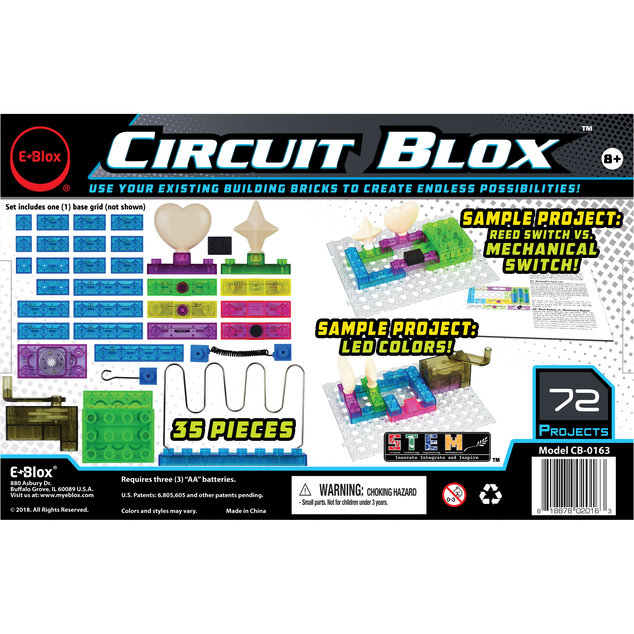 There are 72 different projects to build, and all parts are compatible with our Power BloxTM line to add even more fun to your building experience. Some of the fun projects you will build include a nerve tester and hand crank generator backup power source. 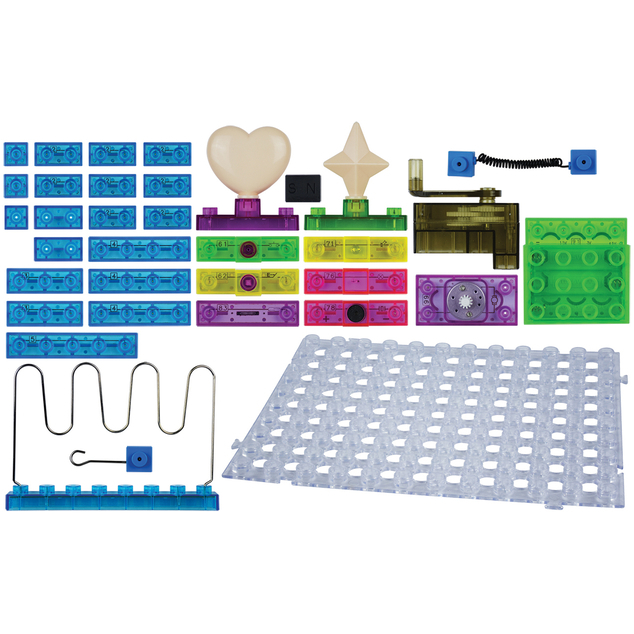 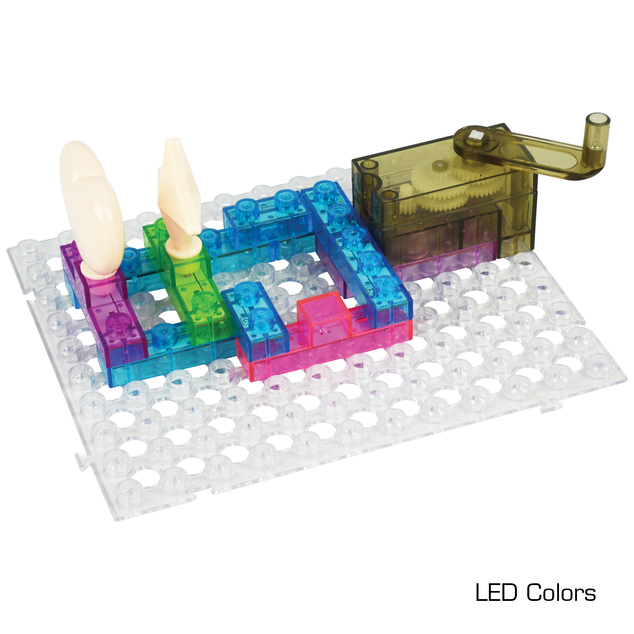 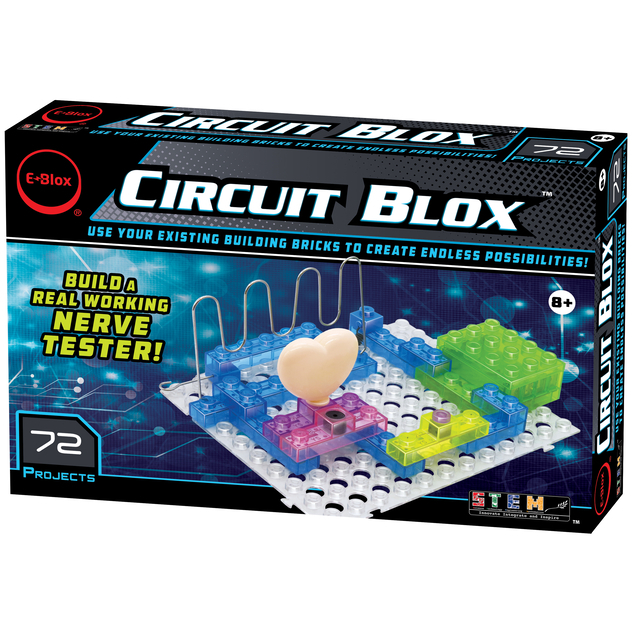 35 pieces, including a maze, hand-crank generator,press switch, push-button switch, reed switch, lamp,LEDs, alarm, and more!